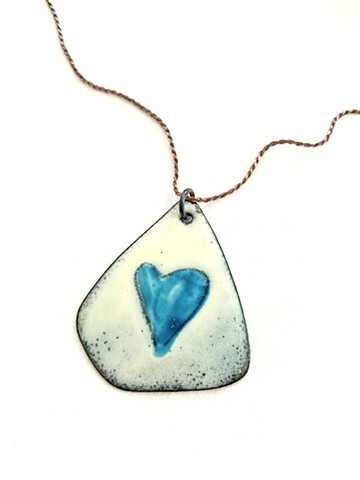 This pendant is cut out of copper, finished with enamel. The dimensions are 1 3/4" x 1 1/2". The sterling silver chain is 18" long and patinated.